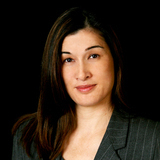 Marguerita M. Cheng is the Chief Executive Officer at Blue Ocean Global Wealth. Prior to co-founding Blue Ocean Global Wealth, she was a Financial Advisor at Ameriprise Financial and an Analyst and Editor at Towa Securities in Tokyo, Japan. Marguerita has been quoted and featured in numerous national publications. Marguerita is a spokesperson for the AARP Financial Freedom Campaign, a columnist for Be Inkandescent Magazine, and a personal finance contributor to Market Intelligence Center and Washington Business Journal. She is a CFP® professional, a Chartered Retirement Planning Counselor(SM), and a Certified Divorce Financial Analyst. As a Certified Financial Planner Board of Standards (CFP Board) Ambassador, Marguerita helps educate the public, policy makers, and media about the benefits of competent, ethical financial planning. She serves as a subject matter expert for CFP Board, contributing to the development of examination questions for the CFP® Certification Examination. Marguerita also volunteers for CFP Board Disciplinary and Ethics Commission (DEC) hearings. She proudly serves on the FPA National Board of Directors and is a member of its finance committee. Marguerita is the 2013 Chair of the Financial Planning Association of the National Capital Area (FPA NCA). As a candid and passionate supporter of financial literacy and capability, she collaborates with the Virginia Council on Economic Education (VCEE), and teaches financial planning and investment management at the Personal Finance Institute at George Mason University, where she helps educators enhance their understanding of economics and personal finance. She studied at Keio University in Tokyo, Japan, and earned her B.S. in Finance and her B.A. in East Asian Language and Japanese Literature from the University of Maryland, College Park. Marguerita is a recipient of the Ameriprise Financial Presidential Award for Quality of Advice and the prestigious Japanese Monbukagakusho Scholarship. You can find more information at https://www.blueoceanglobalwealth.com .